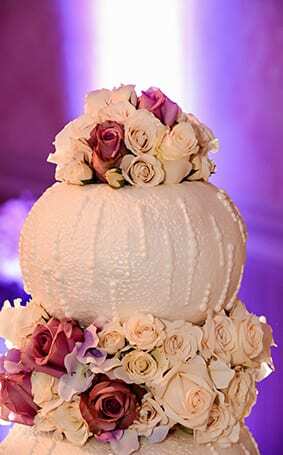 If you love floral décor at a wedding reception, you'll love it even more on a cake! 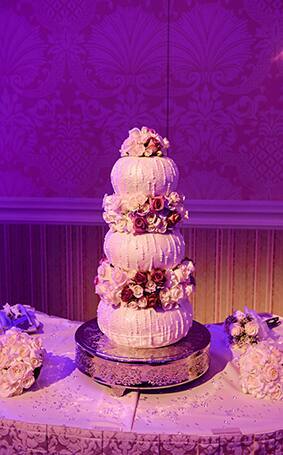 Feast your eyes on this three tier floral masterpiece that shies away from tradition. 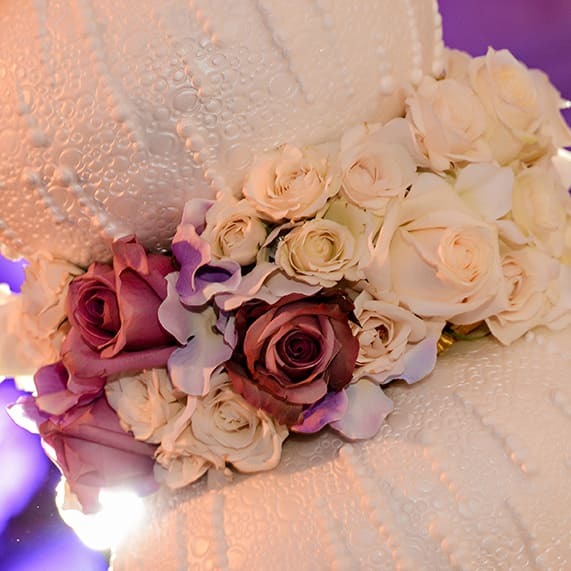 Each rounded tier is cushioned between a plethora of white, lavender and magenta roses...and makes you feel as though you've stepped into a beautiful, rustic garden. 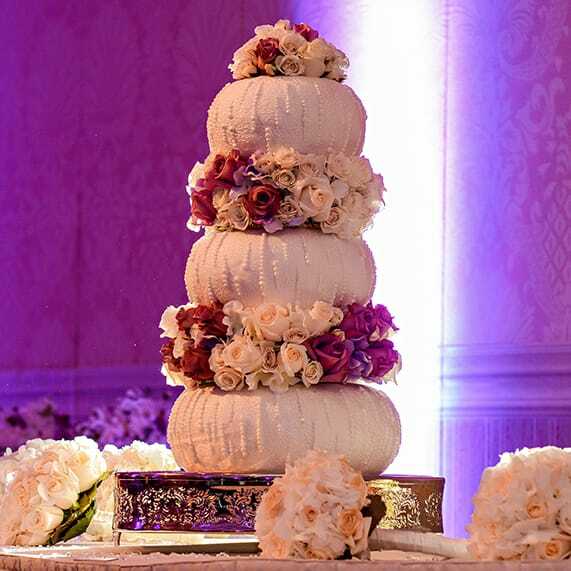 If you're looking to add a unique floral twist to your upcoming Disney's Fairy Tale Wedding, consider adding a cake that screams "floral galore"!